Fine ground high reactivity calcium oxide quicklime for use in hot lime works. In the process pure limestone taken from the ground as calcium carbonate, then burnt in a kiln at approximately 850 degrees Celsius to create calcium oxide. The calcium oxide is then crushed into 15mm granuals and under and is ready to be slaked. 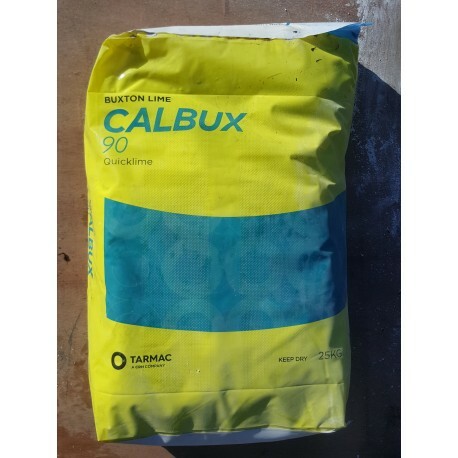 Calcium oxide - quicklime is regulary used in hot lime works and for building restoration uses. When using any lime products, ensure correct coverall PPE is used. 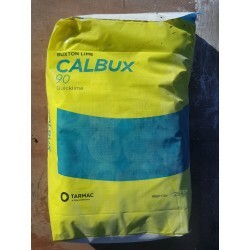 Please see the attached Calbux data sheet for more technical information on Calbux 90 quicklime.